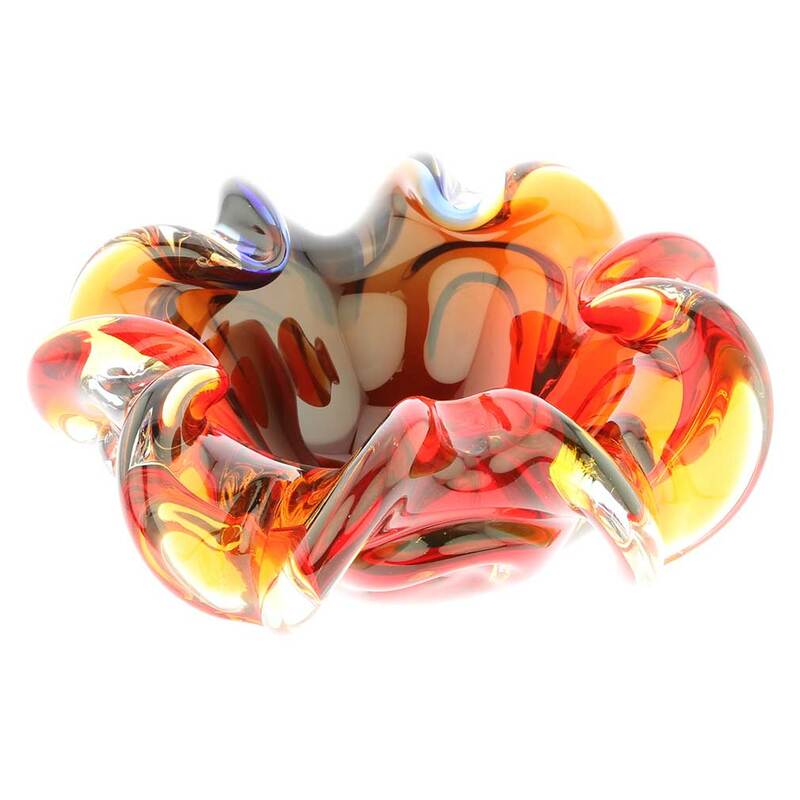 This breathtaking Murano Glass Bowl is the very essence of the play of light and colors that characterizes the art of Venetian glass-making. 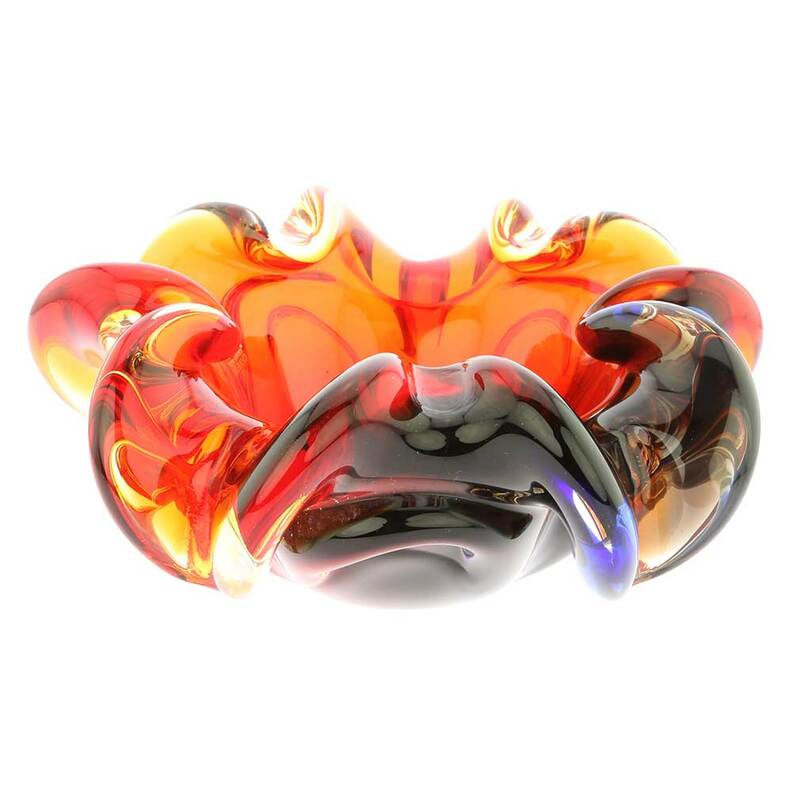 The bowl's artistic look and its brilliance are achieved by using a famous Murano Glass technique called Sommerso. 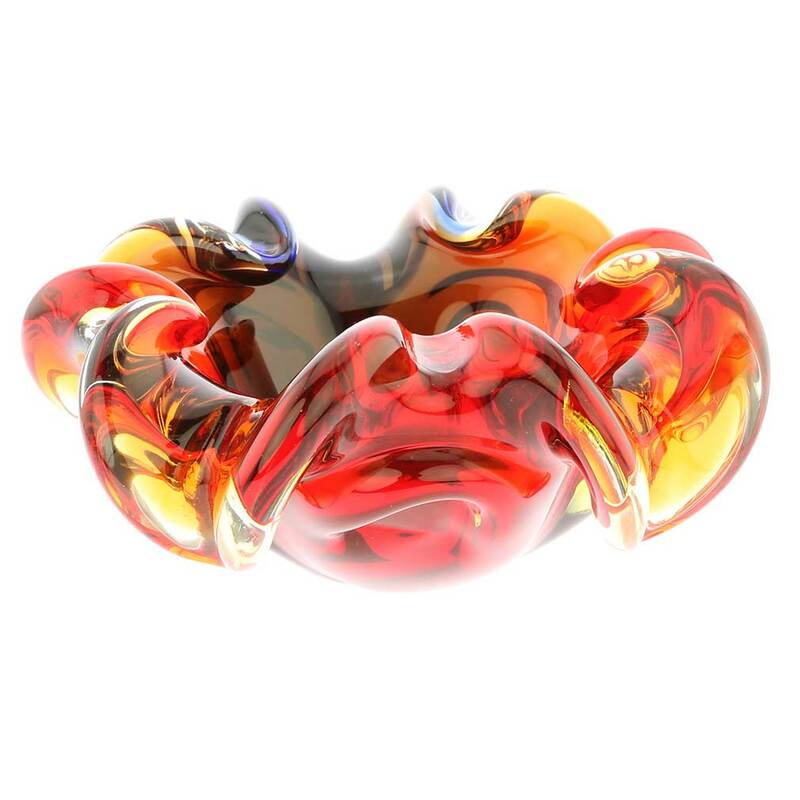 By expertly layering colored glass without mixing the colors, Murano masters realize a unique look where colors reign supreme, continuously creating new chromatic effects under different lighting. Moreover, the form of this bowl deserves special attention as it reflects nature's elegance, symbolizing the dynamism of a wave caught mid-flight, and evokes seascapes surrounding Venice. 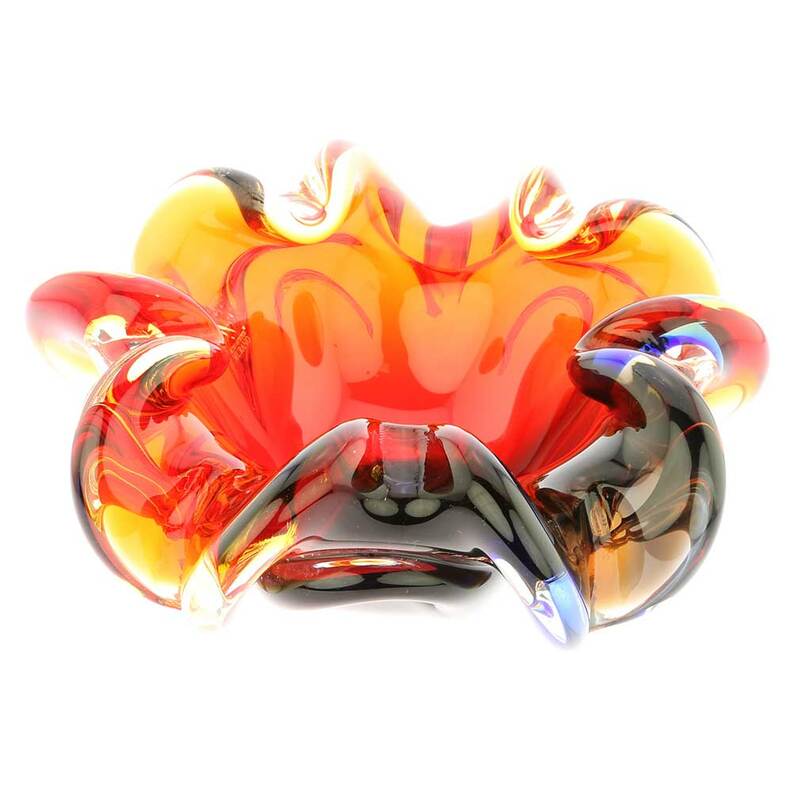 Sommerso technique was invented by Murano Glass masters in the 1930's in an effort to express new artistic movements, which called for a new way to use colors and forms. 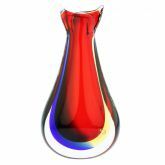 Since then, Sommerso decorative glassware has earned international acclaim and became the preferred choice of artists and interior designers worldwide for accentuating modern interiors. 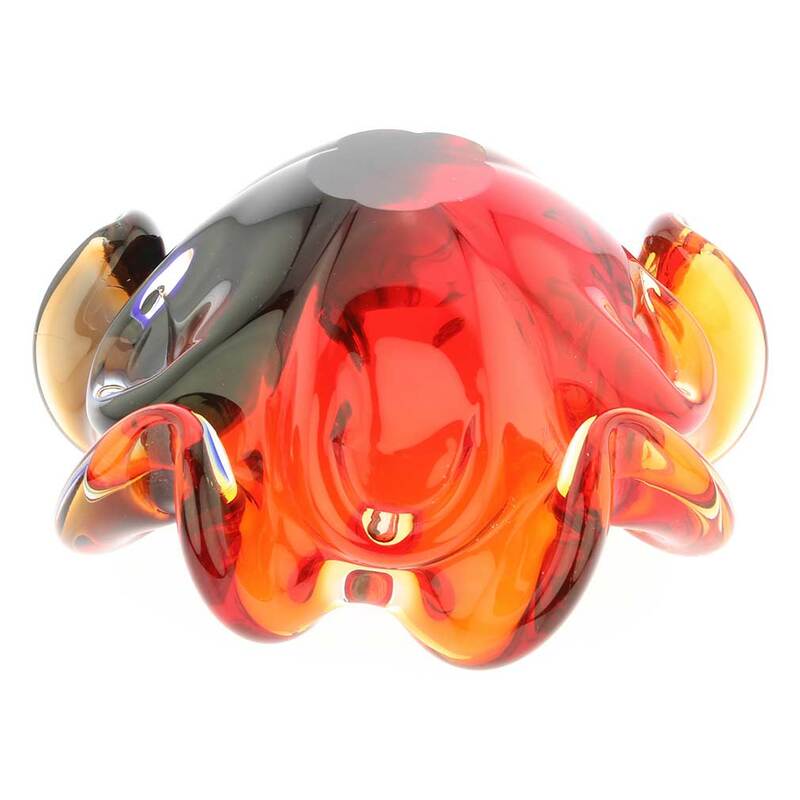 Murano's best master craftsmen and artists, whose lineage goes back to the famous local artisans of the centuries past, put their skill and passion into creating this beautiful centerpiece. This bowl is more than a decorative piece, it is a memento, which embodies the very nature of Venice, with its ebbs and flows and its always changing colors and lights. 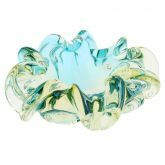 This gorgeous Murano Glass centerpiece is an instant conversation piece and a fine Venetian design accent for any room, whether classic or contemporary in style. It can be a functional piece too, holding sweets, fruits, or a potpourri. Despite its exquisite look, this glass bowl is heavy and designed to become a family heirloom lovingly kept through generations. 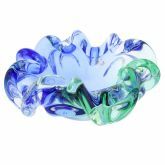 Very artistic and big on design aspect, this Murano Sommerso bowl makes a perfect gift for momentous occasions such as birthdays, anniversaries, or weddings. Measurements: This unique centerpiece bowl measures 4 inches in height. It is 9 inches in diameter. It is very well packaged to avoid damage in transit. Authenticity: Bowl comes with the sticker of Murano's official Glassmakers' Consortium and the certificate of authenticity. 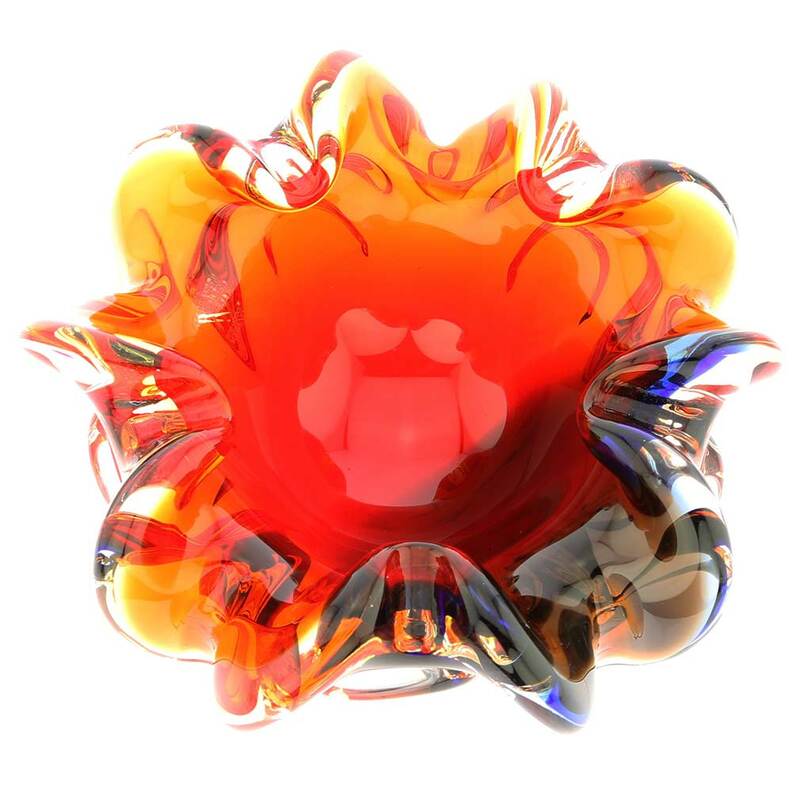 As this Murano Sommerso bowl is a unique piece of art made by hand, some variations of colors and patterns as well as random bubbles inside glass are possible and serve as additional assurance of the authenticity. 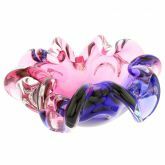 This Murano bowl is Beautiful. I'm glad I purchased it. Awesome! I would strongly recommend this product. This Sommerso bowl is a beautiful and weighty. It is crafted exquisitely and as always, delivery was amazingly prompt. 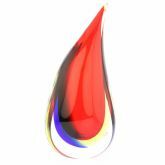 Another "home run" from Glass of Venice!